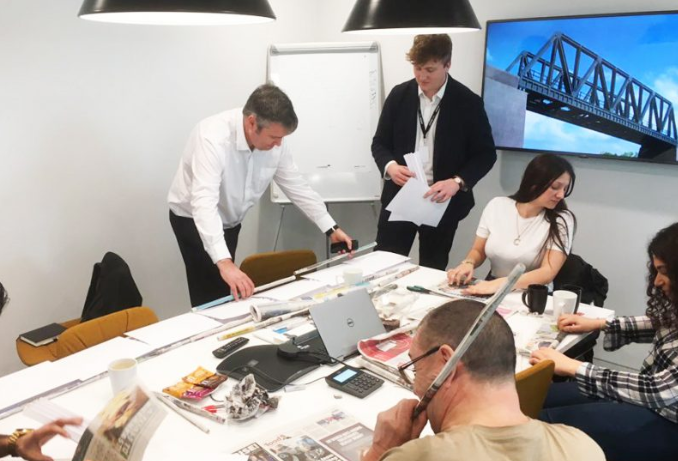 Multinational engineering firm Aecom invited young people and residents from YMCA St Paul’s Group to spend the day in their offices in the city. Aecom, who are responsible for Mercedes-Benz Superdome renovations, Ferrari World among many other multi-billion-dollar projects, kindly volunteered their time to support YMCA St Paul’s Group’s young people and residents, recognising the importance of giving back to the community and aiming to inspire them to succeed. Participants on the day were invited to form groups and tasked with the challenge of making a bridge using only newspaper, cellotape and string. The activities were a great way to help the young people build confidence and teamwork skills as well as learning about architectural engineering and all the great possibilities that comes with this skill. The YMCA St Paul’s Group teams did a fantastic job building their bridges and the Senior Executive team were very impressed with the ideas and level of commitment and teamwork within the teams. However, there could only be one winner: The Bridge Raiders! The day has inspired so many of our young people and residents to continue to strive to achieve success in their chosen careers. We would like to thank AECOM for their time and generosity, and we hope to visit again soon.